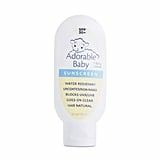 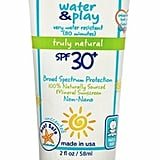 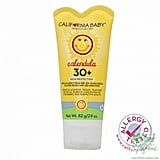 23 of the Safest Sunscreens For Kids and Babies — Including Drugstore and Amazon Options! 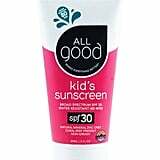 Every year, the Environmental Working Group evaluates and reevaluates all of the new and old sunscreens on the market to ensure that it's informing consumers of the safest (and the most harmful) of the bunch based on a number of factors. 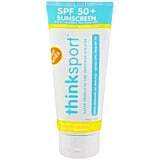 "The majority of sunscreens we assessed do not meet EWG's standards for safety and efficacy. 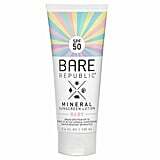 About 67 percent of the products contain worrisome ingredients, like oxybenzone or retinyl palmitate, or offer inferior sun protection . 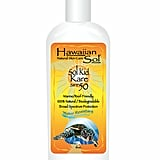 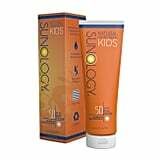 . . [which] is especially worrisome for children because they are more vulnerable to sun damage. 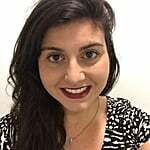 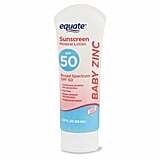 Getting severe sunburns as a child can double a person's lifetime chances of developing serious forms of skin cancer," Carla Burns, an EWG research analyst, told POPSUGAR. 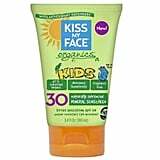 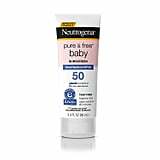 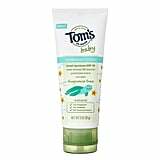 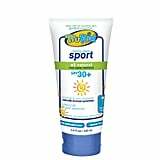 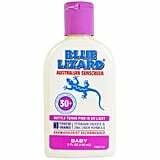 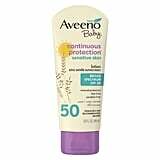 She added, "EWG's best advice for concerned parents is to choose a product from our list of best-scoring kids' sunscreens. 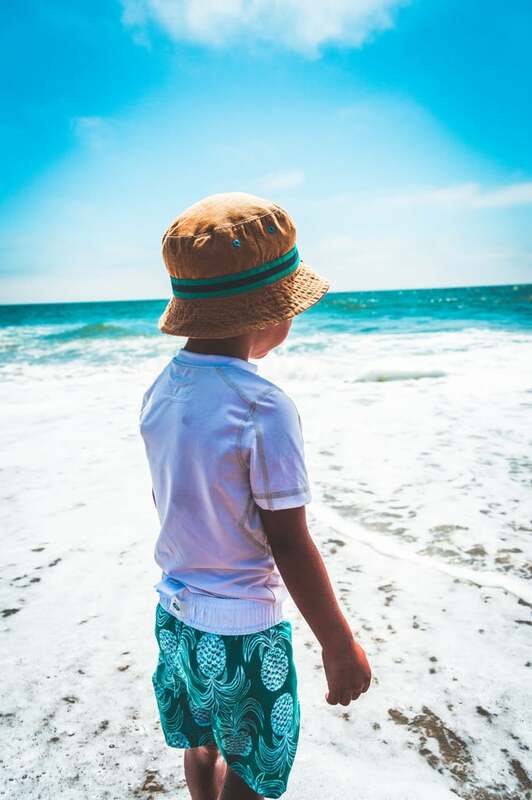 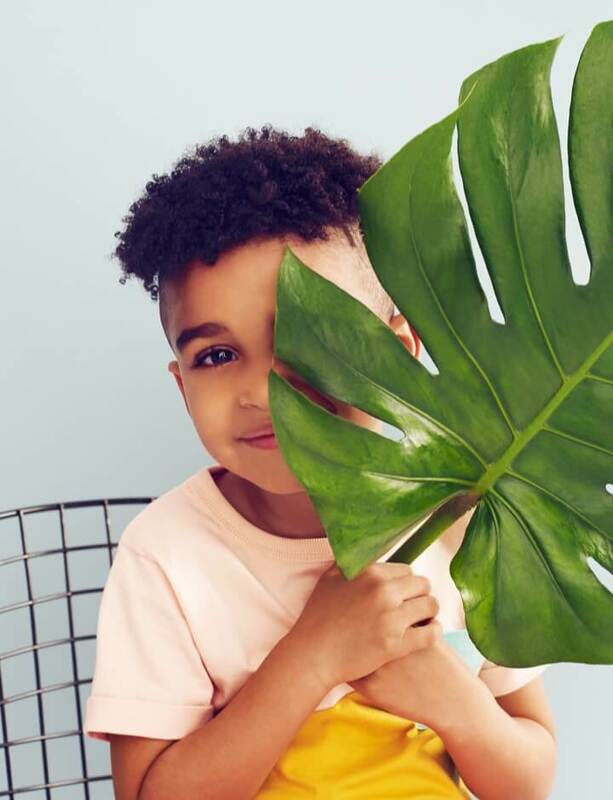 The products on this list don't contain troubling ingredients like oxybenzone, which is a skin sensitizer and hormone disruptor that is harmful to both adults and kids. . . . 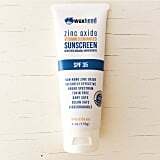 Overall, EWG recommends that people choose mineral-based products with zinc oxide or titanium dioxide active ingredients, avoid products with hazardous ingredients like oxybenzone and retinyl palmitate, choose lotions or sticks over sprays, and always choose products between SPF 15 and 50." 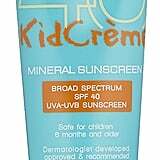 Everyone should be wearing sunscreen when outside on a sunny day, especially kids and babies, so read ahead to find out if your go-to brand is on this year's list of the safest products. 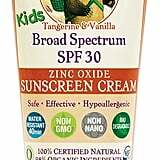 If it isn't, the EWG is offering up these 23 as the best for you to buy, and many of them are available at drugstores and on Amazon!